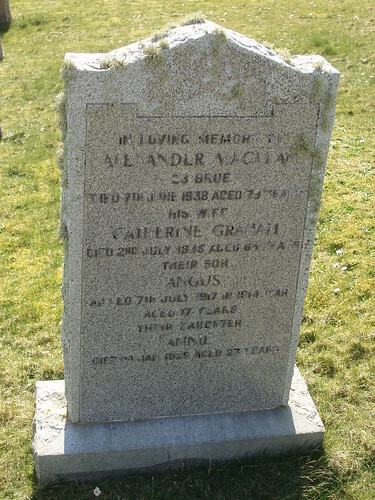 The cemetery at Barvas can be reached by car from the A857 road to Ness. 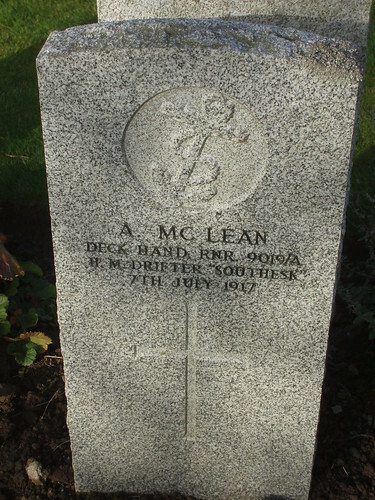 About half a mile north of the village a sign for Cladh Bharabhais points to the graveyard, which is half a mile from the main road. Carparking is provided - please close any gates behind you. 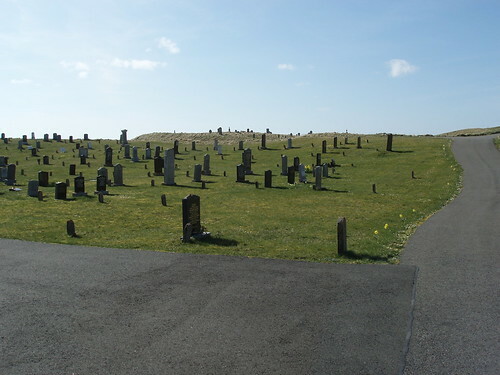 The cemetery is located on gently sloping dunes; the oldest part is strewn with broken stones which can make walking difficult if the grass is uncut. 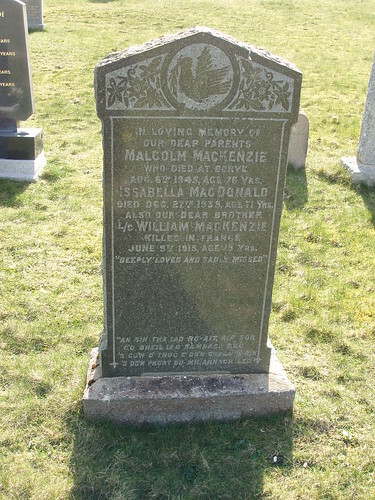 Son of Murdo and Catherine Murray MacLeod, of 20, Lower Shader, Barvas, Stornoway. 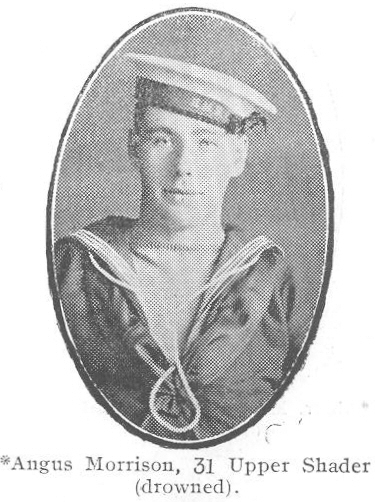 Regiment or division: Royal Naval Reserve, SS Saxonia. 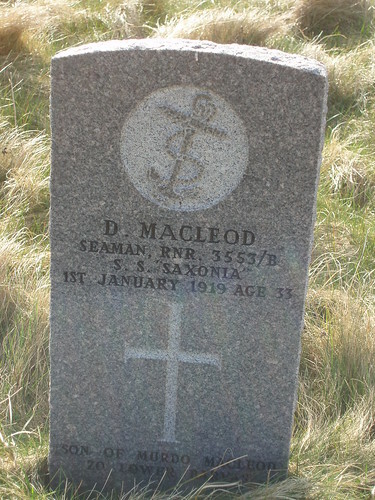 Son of John and Mary Macdonald, of 25, Lower Shader, Barvas, Stornoway. 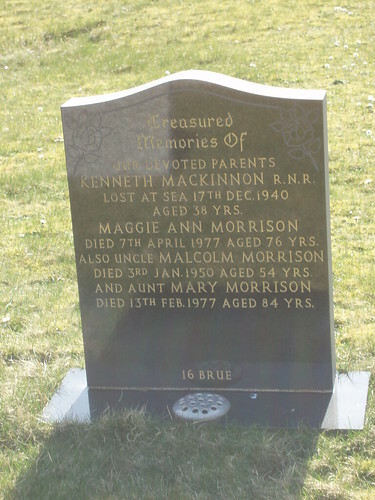 Son of Malcolm and Chirsty Morrison, of 31, Upper Shader, Barvas, Stornoway. 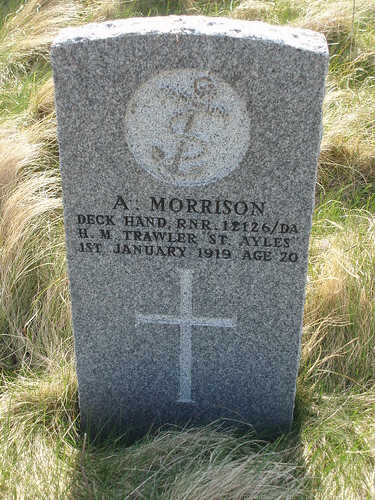 Husband of M. McKinnon, of Stornoway, Isle of Lewis. 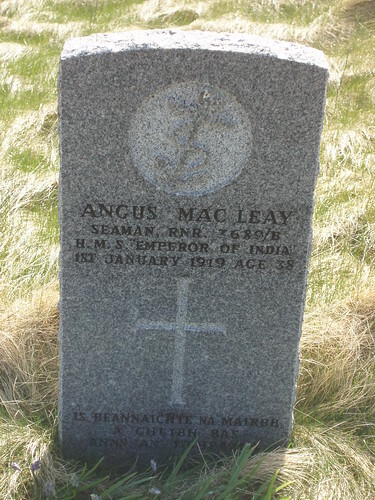 Son of Alexander and Catherine McLean, of 28, Brue Barvas, Stornoway, Isle of Lewis. 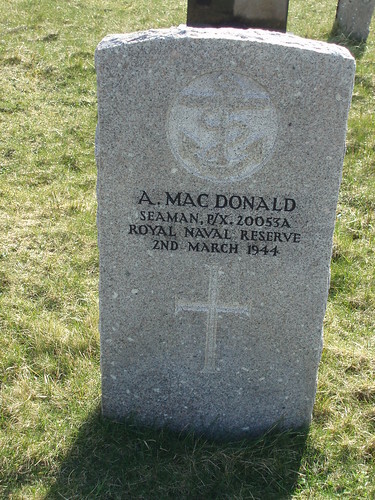 Served in both World Wars. 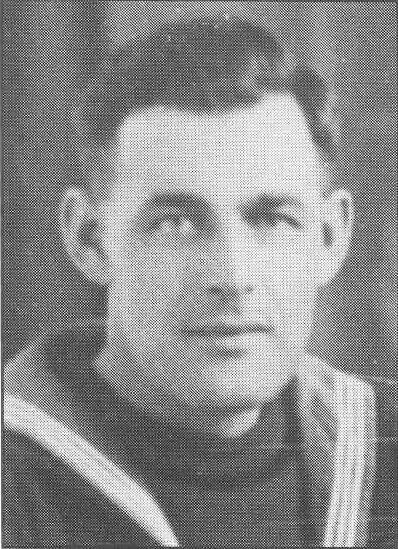 Died in a bombing raid on London. 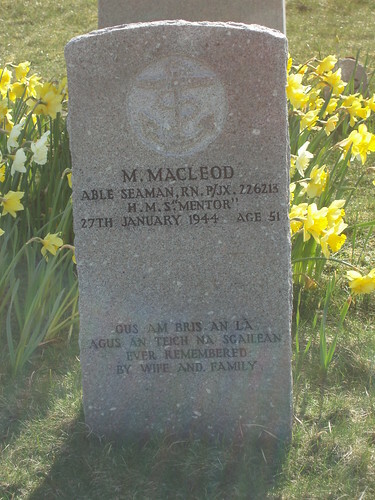 His ashes were interred; his wife's ashes were interred alongside his many years later. 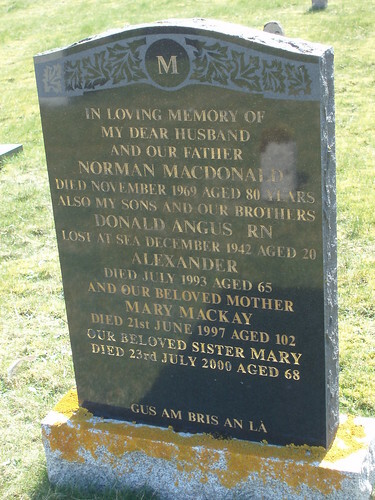 Son of Norman and Mary MacDonald, of Stornoway, Isle of Lewis. 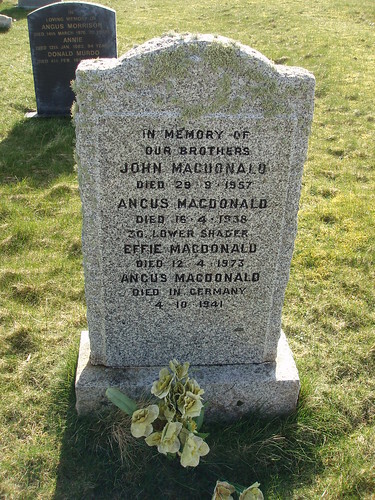 Son of Angus MacDonald, and of Effie MacDonald, of Barvas, Isle of Lewis. 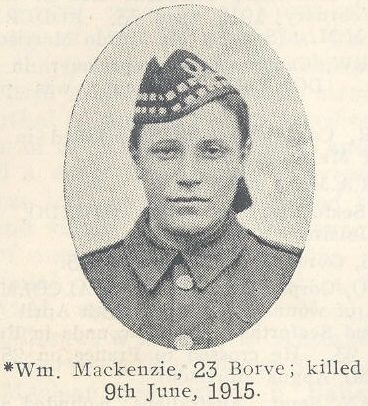 Son of Malcolm and Bella Macdonald McKenzie, of 23, Borve, Barvas, Stornoway. 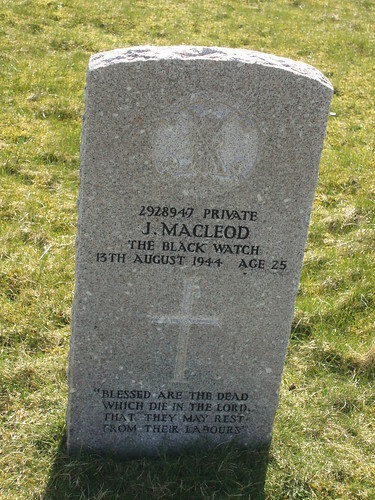 Son of John and Christina Macleod; husband of Peggy Macleod, of Melbost. 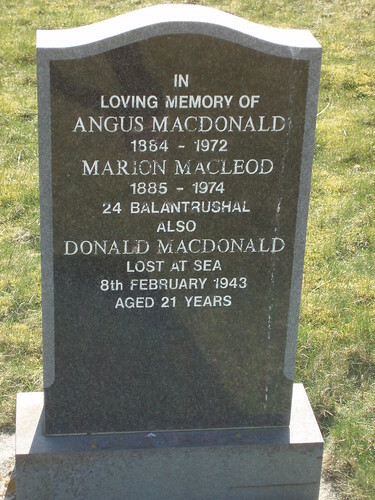 Interred: Barvas Cemetery, Melbost Sec. 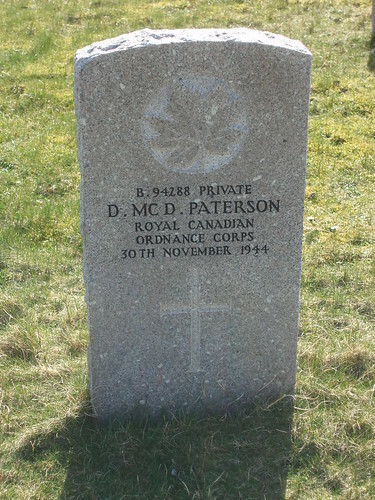 Interred: Barvas Cemetery, Galson Sec. 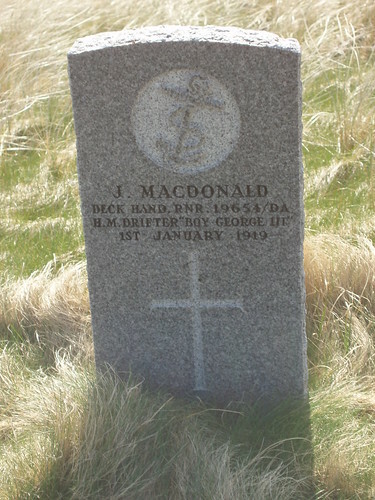 Son of John and Annie MacLeay; husband of Katy Ann MacLeay, of 33, Lower Shader, Stornoway.